Protecting your digital environment does not stop once a document has been printed. Secure Print Release protects the document until time of release, and while regulations and policies can be put in place, steps to change user behaviour beyond the printer need to be considered as well. This is where watermarking and digital signatures can be valuable, as they help protect the life of the document after it has been printed. Digital signatures are a powerful form of providing document authenticity, integrity and verification. Similar to an electronic fingerprint, they provide the highest levels of security by presenting as a cryptographically secure HMAC or Bates Number. 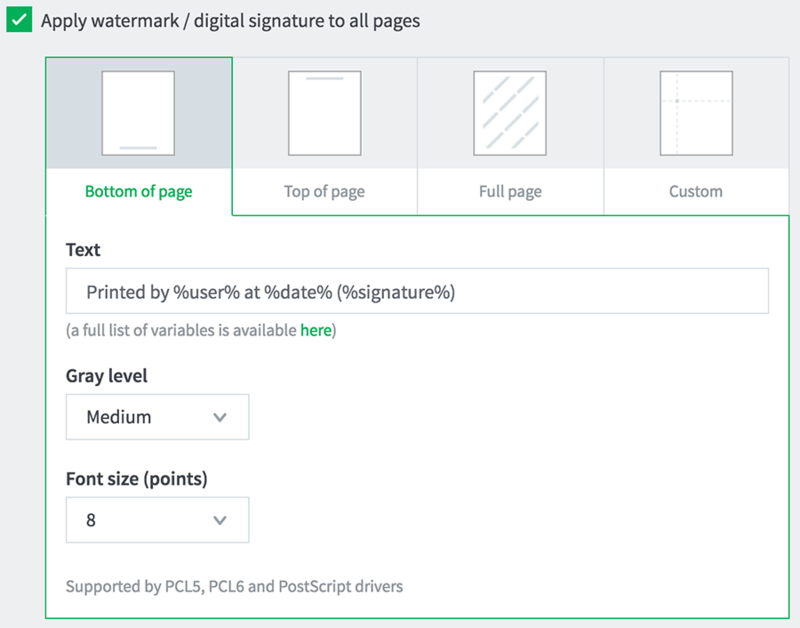 A digital signature can be used to uniquely trace any printed page to the exact entry in the job log for that printed document, showing the origin, author and details of the print jobs while sending a strong message of accountability to users for every document printed. A digital signature can be printed on all pages of a document and can then be used to locate job metadata such as author time of print and document name. What does a watermark look like? Watermarks can contain any fixed text or text from variables such as user, date / time, digital signature and printer. These can be defined to match your security requirements in the PaperCut settings. 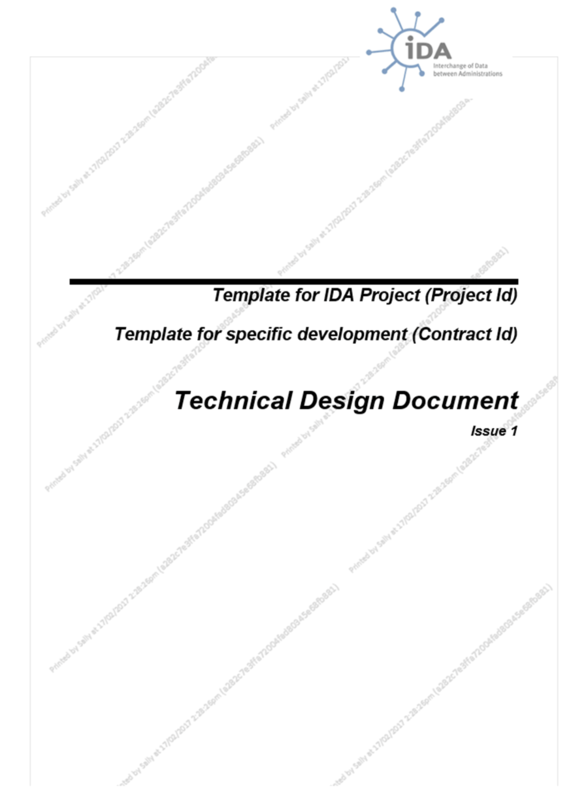 The below example of a full page PaperCut Watermark includes user name, date and time of printing and digital signature. For further detailed information, see the Watermarking section of the PaperCut manual.